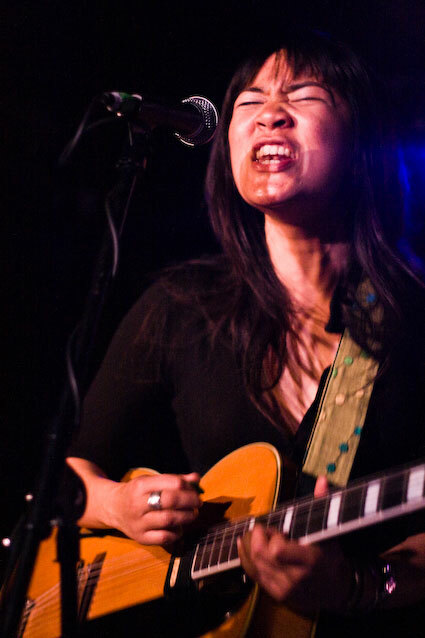 The Rundown: Thao Nguyen, the leader signer of Thao with the Get Down Stay Down, puts as much emotion into her performance as any artist I know of. I have often found myself comparing her to Janis Joplin, not in sound, not in appearance, but in the way she plays and performs her music. Every note is full of intense emotion that comes cascading out in every song. The Get Down Stay Down consists of Adam Thompson and Willis Thompson, and formerly, Frank Stewart. When the three piece band plays together they are referred to as The Get Down Stay Down. 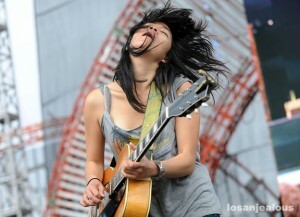 Thao occasionally tours on her own. The band has released four albums: Like the Linen (2005), Daytrotter Sessions (2006), We Brave Bee Stings and All (2008), and Know Better Learn Faster (2009). Starting her musical career at the early age of 12, Thao and her childhood friend, Brenna Clerkin, would record and perform music in their hometown of Falls Church, Virginia. Thao would go on to college at The College of William and Mary, where she met Willis Thompson, the future drummer for the band. 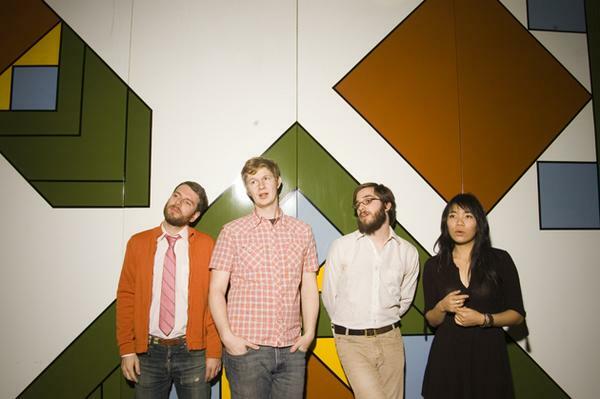 During a show at the Harrison Street Coffee Shop, Thao and Willis would meet Adam Thompson (Adam and Willis are not related), who would go on to become the bassist for the band. While the band has a number of good songs such as Body, Bag of Hammers, and Chivalry, I am most fond of When We Swam. When We Swam is a jazzy, as much of Thao’s music tends to be. Her mannerisms during the live performance are strikingly similar to what Janis Joplin would do. This is an artist who truly feels her music and tries to express that in both her performance and her sound. The lyrics are sung in short bursts while Thao plays a clean, muted riff. While this is going on, Thao is accompanied by a simple, yet effective drum beat and a upbeat bass. This is a song that people could easily dance to, as it has a very easy beat and rhythm to keep up with. So grab your dancing shoes and go find a show near you! An exceptional talent both live and in the studio, MarsBands.com loves bands and artists who wear their heart on their lyrics, with Thao being a perfect example.